Only one of the Democrats running in the First Congressional District primary have said publicly they will support Nancy Pelosi for Speaker of the House. But is it all just a charade? 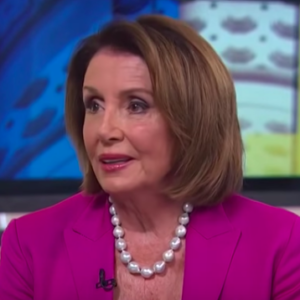 In an MSNBC interview, Rep. Pelosi (D-CA) had a clear message for Democrats in tough house races like NH-01: Say whatever it takes to win today. She won’t ask you for your vote until after the election. “I haven’t asked one candidate for a vote,” the former speaker said, before launching into a series of complaints about Republican TV ads making her an issue in congressional elections. “I say to [Democratic congressional] candidates ‘do whatever you have to do’– just win, baby! We must win this. When the caucus decides, it will decide whose name to send to the floor [for the Speaker of the House position]. Only after the election will I ask people for their support,” Pelosi said. Corry Bliss of the GOP-controlled Congressional Leadership Fund says their focus group research shows Pelosi is the GOP’s biggest political asset.